Sign up now to our newsletter to receive daily style collections and deals. Swipe through collections stocked with trends and brands you will love, covet and want to discover. The more you express your unique style, the more tailored your profile and recommendations become. Stash your favorites—from any collection—and access them anytime from your profile. Looking for something? Have a simple conversation with our smart search. Instantly purchase or share with those closest to you. Just your distinct style, uniquely tailored by your touch. 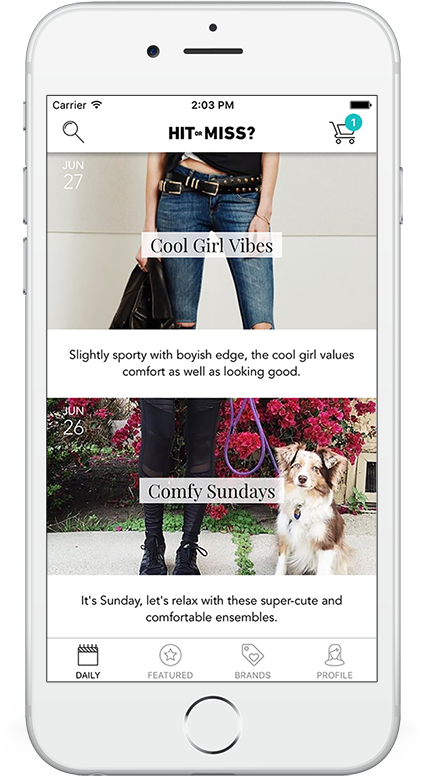 We are looking for fashion bloggers and stylists to feature in our app. Send us a message and tell us a little bit about yourself. General inquiries. Contact us via email.